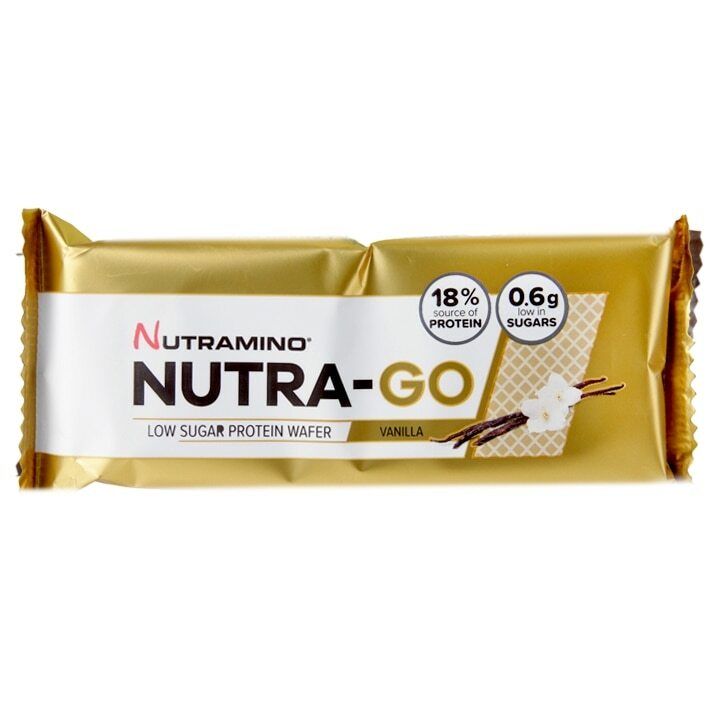 The Nutra Go Low Sugar Protein Wafers from Nutramino, are the perfect snack on-the-go.They deliver on both taste, texture and macros.The Nutramino Wafers come in three delicious flavours: Hazelnut, Vanilla and Coconut. Each Wafer delivers quality protein and is low in sugars, helping you hit your daily protein needs and enjoy a snack at any time throughout the day. Sweeteners (maltitol, sucralose), palm oil, whey protein isolate [milk], maize flour, cocoa nibs (6.9%), starch, milk powder, cocoa butter, bulking agent (polydextrose), almond paste, dextrose, fat-reduced cocoa powder, emulsifier (soy lecithin), salt, thickener (guar gum), raising agent (ammonium carbonate), natural vanilla flavouring, antioxidant (ascorbic acid). Nutramino Nutra-Go Protein Wafer Vanilla is rated 3.8 out of 5 by 4. Rated 1 out of 5 by Elizabeth7 from Awful ingredients not healthy So many products that look healthy but when you look at the ingredients they are awful. Sweeteners are the main ingredient and then palm oil and whey isolate... these are just the first three, none of this is good for the human body. Holland and Barrett you're supposed to be a health food store, please don't promote and stock such rubbish. People use your store expecting everything to be healthy, this product clearly is not and it's a shame you are supporting it. Rated 5 out of 5 by Tinky05 from Yummy but the chocolate hazelnut one is far nicer I tried this a few days ago and it was lovely! I think the chocolate hazelnut one is far superior. This one is a little bland but still yummy nonetheless.